We are the leading manufacturers of General Business Activities: ZAF ENTERPRISES has been established in 2006 as a Hygiene company with our brands LOTUS SOFT & KAYAK in Mumbai and parts of India. Our company is one of the reliable Importer & Exporter of a vast range of Washroom Hygiene Products. 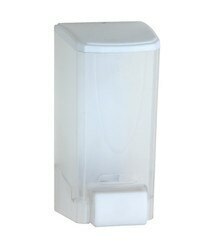 Our offerings include Automatic Hand Dryer, Shoe Shining Machine, Air Curtain, PVC Strip Curtain Automatic Air Freshener, Aerosol Refill, Automatic & Manual Soap Dispensers, Tissue Paper Dispensers, Tissue Paper Products, Urinal Screen, Automatic Sensor Taps, Automatic Shoe Cover Dispenser, Recess Panel, Wet Towel Dispensers, Wet Tissue Dust & Feminine Bins, Fly Catcher & Insect Killer, Hair & Body Dryer, Concave Mirror and many more. Our range of products is fine in quality as they are developed under very hygienic conditions by using premium grade raw materials. They have earned huge accolades from our valued clients based in both local and international markets. Supported by qualified technicians, we have been able to deliver products in the stipulated time period. ZAF Enterprises has advanced in-house quality inspection division where all our products are properly checked on various quality parameters for satisfaction of the end users. We make use of graded raw material judiciously in the production process, and incorporate latest & effective methods for the same. Our versed quality personnel implement thorough quality measures so as to make the products completely perfect in terms of shape, design, size, dimension, longevity and effectiveness. Our range which includes Hair Dryer, Hand Dryer, and Body Dryer etc is a right choice for customers with its sophisticated, long-lasting and high performance features. We also provide customization options to our clients to meet their varied requirement and that too at competitive prices. This has enabled us in establishing a cordial relationship with our existing and prospective clients. We have been able to scale new heights of success in this competitive market under the supervisory leadership of our director Mr. Farhan Patel. He has taught us how to survive the competition in this industry. It is because of his management skills and leadership that we have been able to gain such a reputable position in the market. Product Range Air Curtains In Mumbai , Automatic Hand Dryers In Mumbai, Automatic Air Freshner Dispensers In Mumbai, Automatic Sensor Taps In Mumbai, Automatic Shoe Cover Dispensers In Mumbai, Automatic Soap Dispensers In Mumbai, Tissue Paper Dispensers In Mumbai, Dust Bins In Mumbai, Feminine Bins In Mumbai, Fly Catchers In Mumbai, Insect Killers In Mumbai, Hair Dryer In Mumbai, Body Dryer In Mumbai, Concave Mirror In Mumbai, Manual Soap Dispensers In Mumbai, Multi Purpose Recess Panel In Mumbai, PVC Strip Curtain In Mumbai, Q-Up Stand In Mumbai, Shoe Shining Machine In Mumbai, Tissue Paper Products In Mumbai, Wet Tissue In Mumbai, Urinal Screens In Mumbai, Non Woven Disposables In Mumbai, Wet Towel Dispenser In Mumbai, Dispensers In Mumbai, Manual Soap Dispenser In Mumbai, Automatic Soap Dispenser In Mumbai, Jumbo Roll Dispenser In Mumbai, C-Fold Dispenser In Mumbai, Party Pack Dispensers In Mumbai, Dust Bins In Mumbai, Hand Dryers, Non Woven Disposable Tissues In Mumbai , Disposable Napkins In Mumbai, Disposable Bed Sheets In Mumbai, Disposable Head Bands In Mumbai, Disposable Aprons In Mumbai , Aerosol Air Freshener In Mumbai, Automatic Aerosol Air Freshener Dispenser In Mumbai, Automatic Aerosol Air Freshener with remote In Mumbai, Air Freshener Metered Sprays In Mumbai 110ml, 250ml & 300ml, Concord Automatic Air Freshener In Mumbai , Room Freshener In Mumbai 300ml, 320ml & 470ml, House Keeping & Consumables In Mumbai, Liquid Hand Wash In Mumbai, Hand Wash Pouch In Mumbai, Company Strategy » Purpose To be a leader in the Hygiene industry by providing enhanced services, relationship and profitability. » Vision To provide quality services that exceeds the expectations of our esteemed customers. » Mission statement to build long term relationships with our customers and clients and provide exceptional customer services by pursuing business through innovation and advanced technology. » Core values – We believe in treating our customers with respect and faith. We grow through creativity, invention and innovation. We integrate honesty, integrity and business ethics into all aspects of our business functioning. » Goals – Expansion in the field of Hygiene Industry and develop a strong base of key customers. Enhance the environment of the company and to support the development of services. To build good reputation in the field of Washroom Hygiene and become a key player in the industry.